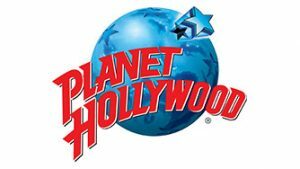 Planet Hollywood offers a unique movie themed and multi award winning dining experience for groups in a central London location. We offer set student Group menus at both our restaurant in Haymarket, London and also our restaurant located in Disney Village®, Disneyland® Paris. Our restaurants have large capacity for groups plus merchandise shops offering PH branded souvenirs. Great food, good value, efficient service and spot on timing is vital for your groups and we tick all these boxes. Please contact us to discuss opportunities to work together and for any enquiry you may have. Please note for your business needs we also have private and semi private areas for product launches, meetings, presentations, client hospitality and staff team building events, plus staff concessions if dining with colleagues, corporate guests, family of friends.